Dr. Pierpaolo Cortellini received his MD from the University of Florence (Italy) in 1980, and his DDS in 1984 from the University of Siena (Italy). Dr Cortellini is the founder of reaserch non profit entities ATRO (Firenze IT) and ERGOPerio (Berne CH). He is Past President of the Italian Society of Periodontology and of the European Federation of Periodontology. 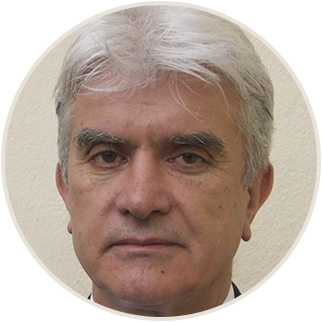 Promoter and Coordinator of six “National Educational Projects” from SIdP, he was Scientific Chairman of Europerio 6 and of the 1st EFP Master Clinic. He runs a multidisciplinary private practice in Florence (Italy). Dr. Cortellini is involved in clinical research in periodontology since 1982, with special emphasis to periodontal regeneration, aesthetics, and diagnosis. Dr. Cortellini lectures extensively on a national and international level; he is referee of the main scientific journals in the field of periodontology, and is the author of more than 100 original publications in scientific journals. In front of severely compromised teeth, dentists are frequently challenged with a key question: treat these units or extract and replace with implants? Changing the prognosis of a severely compromised teeth in patients affected by periodontal disease involves a full strategy of treatment based upon three steps: 1) diagnosis, 2) control of periodontal infection, 3) application of periodontal surgery and in particular regenerative surgery, when indicated. Following the appropriate strategy will make it possible to modify the overall prognosis of the patient and then the prognosis of the single teeth. The modified and “fair” prognosis of the patient will allow also for a safe placement of implants, when necessary. Both teeth and implants will be retained long-term with limited side effects only in patients periodontally treated and maintained into a supportive periodontal care program. Success in periodontal and implant surgery is build up on a complex panel of factors. One of the key aspects is soft tissue handling. There are some wound healing biologic principles that indicate a path to the clinicians. Translating these principles into clinical actions allows for the application a “biologically driven surgery”. The build-up starts from the proper preparation of the soft tissues before surgery, goes through the design of clean, appropriate and safe flap and ends into suturing techniques able to provide perfect stability to the wound. Personal skills and a lot of training make surgery predictable.